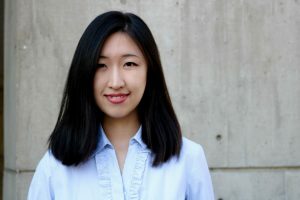 Jianing “Janice” Li is a Ph.D. student researching misinformation and its correction at the School of Journalism and Mass Communication in University of Wisconsin-Madison, using experimental, physiological and computational methods. She is the student leader of Physiology and Communication Effects Research Group (PACE) and member of Mass Communication Research Center (MCRC). Her past and ongoing research projects include US public’s knowledge and attitude certainty of hard facts, potential of local media’s fact-checking, hostile media effects in processing political fact-checking messages, priming effects in processing of e-cigarette misinformation, and US public’s use of term “fake news” on Twitter, etc. Her professional experiences include social media intern at Penguin Random House and Sina Com Technology (China), research assistant at Peking University, and teaching/research assistant at University of Wisconsin-Madison.